Mysterious matchbook | That Belongs in a Museum! So I took this as a research assignment, to dig into the provenance of this artifact and tease out the connections between people and events that make the past, and that make things worth putting in museums. 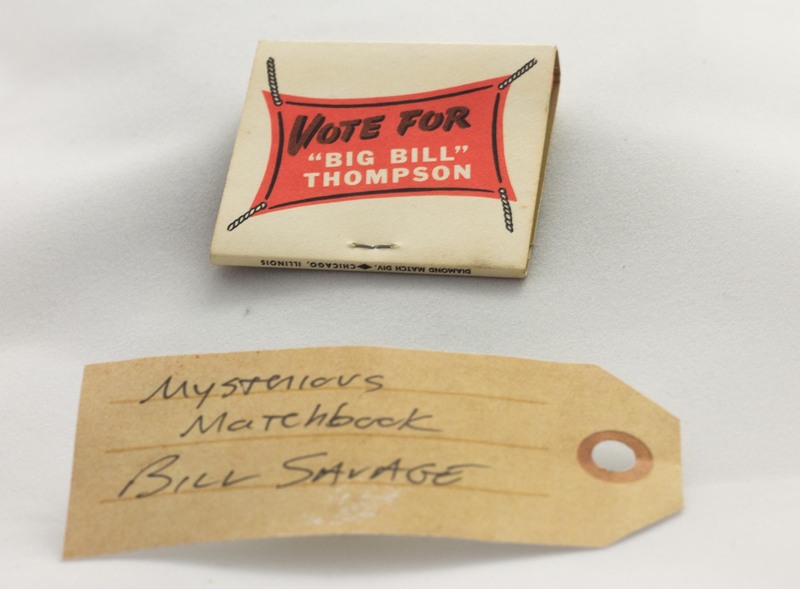 Note: We don’t want to give away everything Bill Savage discovered about this matchbook.